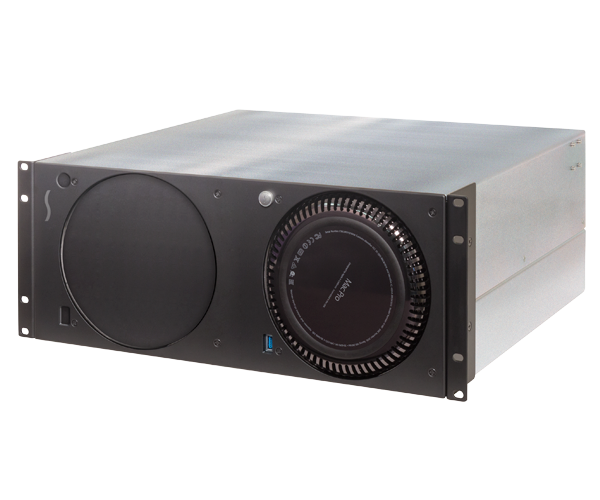 Sonnet’s RackMac™ Pro makes Mac Pro® rack integration simple. Occupying just 4U of rack space, the RackMac Pro rackmount solution features a modular design that enables you to mount the outer enclosure by itself into a rack, and install or work with one computer at a time. Each Mac Pro is mounted in its own Computer Mounting Module that easily slides in and out of the enclosure. The RackMac Pro is available with either one or two computer mounting modules preinstalled. This model includes two Computer Mounting Modules preinstalled, so you can install two Mac Pros right away.